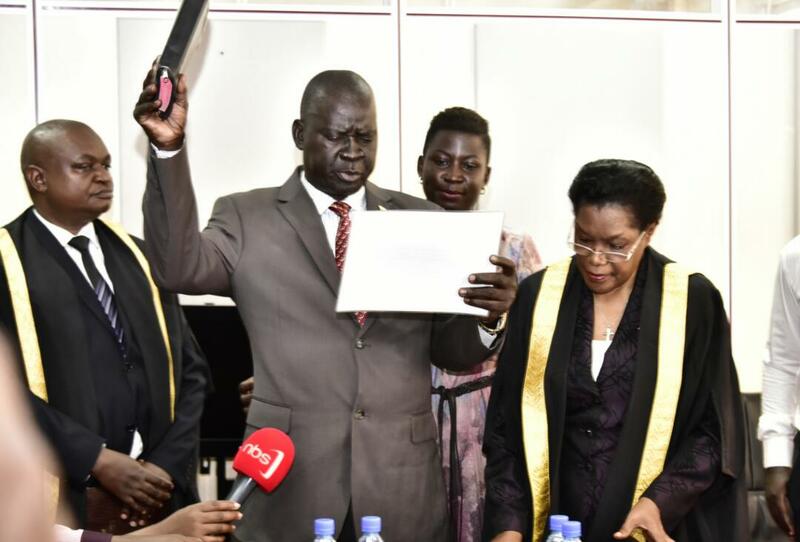 GULU – Gulu High Court Judge Justice Stephen Mubiru last week granted permission to Arua Municipality Member of Parliament Kasiano Wadri to visit his constituency. Mr Wadri is one of the 35 suspects including Kyadondo East MP Robert Kyagulanyi (Bobi Wine), Ntungamo MP Gerald Karuhanga, Jinja Municipality MP Paul Mwiru, Mityana MP Francis Zaake facing treason charges following a scuffle that saw Bobi Wine’s driver Yasin Kawuma shot dead ahead of the Arua Municipality by-election. The suspects were alleged to have stoned and smashed the windscreen of a car on the presidential convoy during the last day of the campaign. The suspects were represented by Counsel Renato Kania of Kania & Alli Advocates & Solicitors and state represented by Patrick Omiya, Resident state attorney of Gulu High Court. Last month High Court granted them bail but barred the legislator from visiting his constituency for 90days. Mr Wadri said he is happy to secure the permission because he is now free to go and interact with his electorate after missing them for long.